Located on the southern tip of the Adriatic coast, the Dubrovnik Riviera offers an unrivaled combination of luxury and historical discovery. The rigid coastline is dotted with offshore islands making the region one of the world's most popular tourist destinations today. 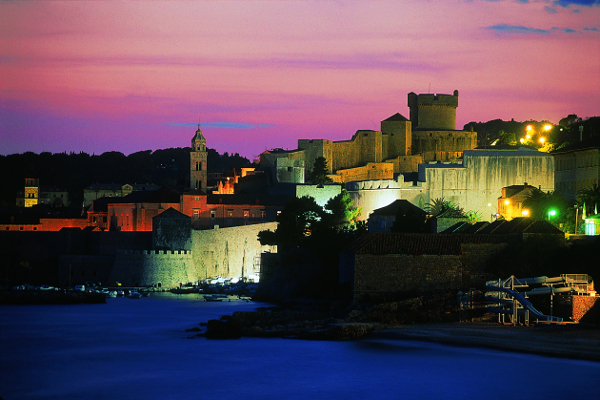 The jewel of the region however is, without doubt, the beautiful city of Dubrovnik. Many writers over time have struggled to put into words the unique attraction that Dubrovnik has to offer with famous historical figures like Lord Byron christening it as “the pearl of the Adriatic” and George Bernard Shaw characterising it as “paradise on earth”. Although these phrases do describe an aspect of Dubrovnik, none of them truly capture Dubrovnik in its entirety. Whilst holidays to Dubrovnik in the summer months provides visitors with the opportunity to walk along the marble streets of the old town as the glamorous buildings emit a pearly light in the warm Adriatic sun, the beauty and intrigue of Dubrovnik stretches far beyond the summer as the city continues to welcome visitors during the winter season. Making you feel like you have the whole town to yourself, visiting Dubrovnik in the winter is a great time to see the sights, walk along the historical wall or take in the rich past of this magnificent destination, giving you an authentic feel as to how the locals live in a peaceful, relaxing environment. Guests seeking luxury are able to pamper themselves in one of the city's fine hotels or enjoy a delicious meal in one of the city's exceptional restaurants. History seekers can trace the rise and fall of Dubrovnik's commercial empire in museums filled with interesting art and artefacts. 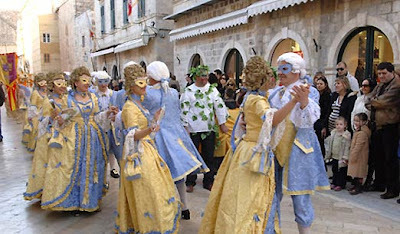 For music lovers, February sees Dubrovnik's version of Mardi Gras come to the old town with colourful parades, brass bands, masked balls and dancing, climaxing in a party at the Revelin Fort. Another popular event during winter is the Festival of St Blaise which honours the patron saint of Dubrovnik. This traditional procession is marked by colourful flags and costumes as the saint's relics are carried through the Old Town before locals break out in communal dancing and drinking. 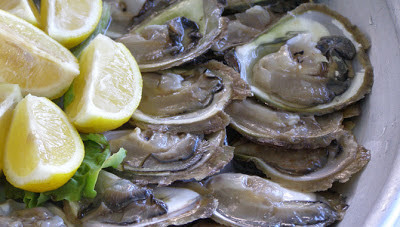 One of Southern Dalmatia's true specialities is Oysters and during March, when these local culinary treasures are at their fullest and tastiest, Dubrovnik plays hosts to the four day annual Oyster Festival, during which Oysters are prepared in every way possible and presented to visitors all along Dubrovnik's main street. To accompany the Oysters a range of the finest local wines are laid out with the traditional men's choir of Dalmatia singing A cappella as you take in the atmosphere of this truly unique event. If you are looking to discover a completely new destination this winter, make sure Dubrovnik is your number one choice as this remarkable city with its relaxed Mediterranean lifestyle and impressive history make it one of the world’s greatest destinations and is sure to leave its mark on you for years to come. Balkan Holidays are proud to introduce our new winter city break holidays to Dubrovnik with direct flights available from London Gatwick from January 5th – March 27th 2013. Holidays are available for 2-14 night stays at one of eight quality hotels including the 5* Hotel Excelsior and the 5* Hilton Imperial. To find out more or to book call 0845 130 1114.